How is it already Christmas?! I'm still in denial as I sit here and look at all the gifts under the tree. 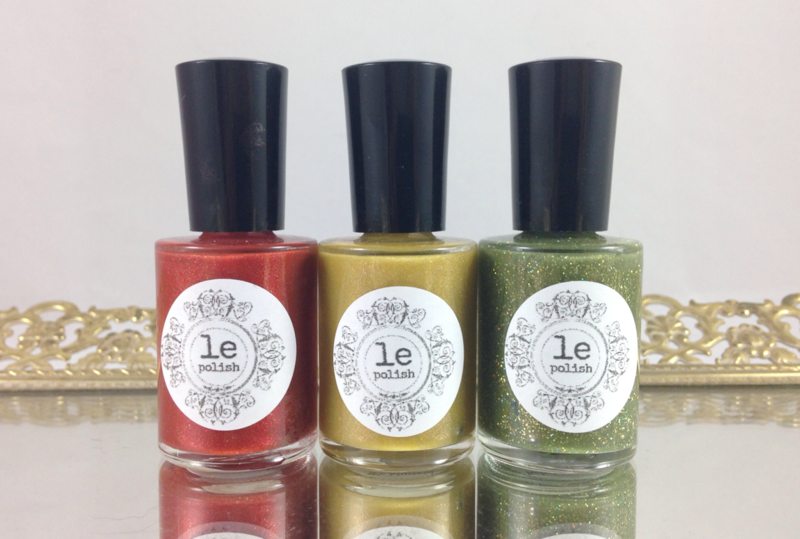 However, I do have a super fun and unique little trio from LE Polish to show you all today. 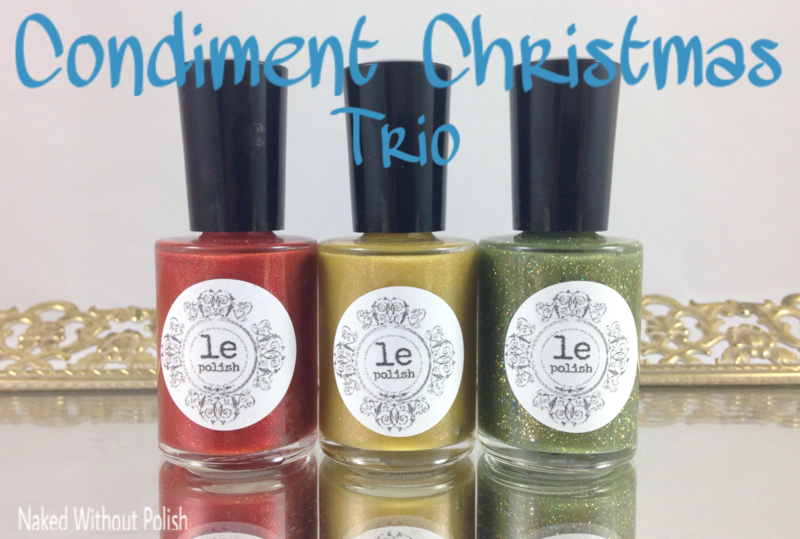 This is the Condiment Christmas Trio. It isn't available to purchase, nor will it be. 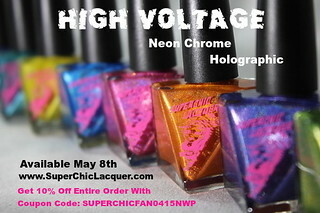 There are only 2 bottles of each color in existence. I've got one of each to show you all, and the winner of the final day of my 25 Days of Polish Giveaway will win the other set. 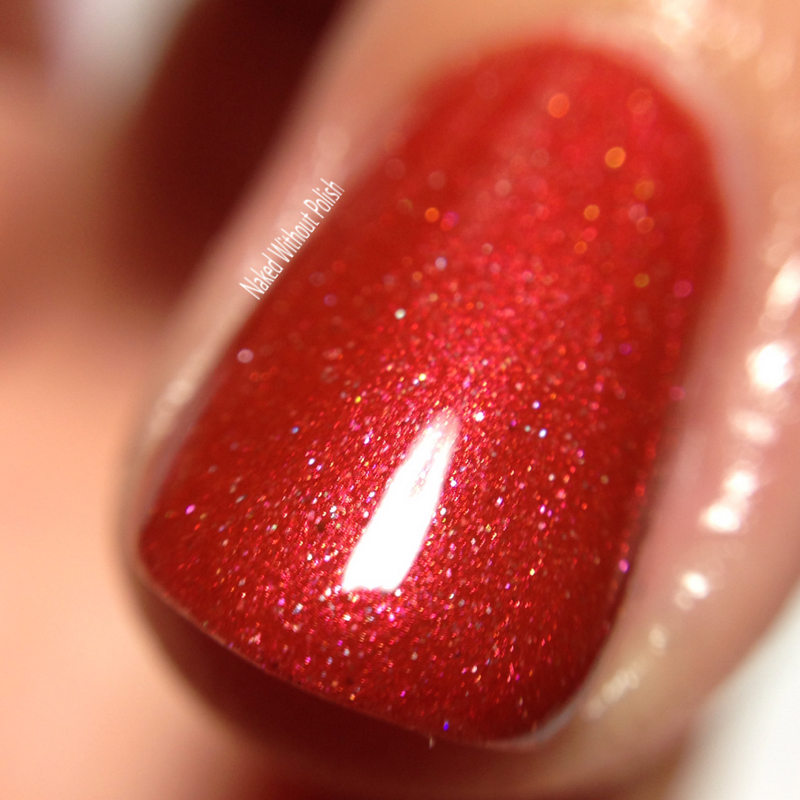 Shortly after I swatched her A Christmas Trio, I was raving about how much I adored Far-Gee-lay and I'd love a polish like it without the black shards. Well, that was the beginning of the end and we started goofing off and this little trio came about. I have to say, this little joke turned into a quite beautiful and well rounded trio. Ready to see? 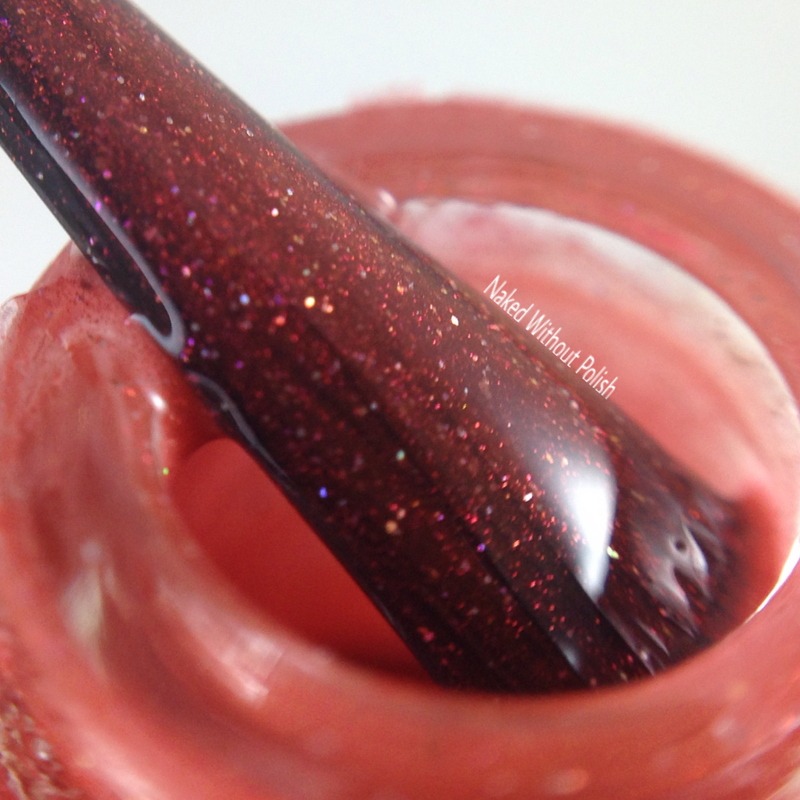 Ketchup With Old Friends is a dark, blue-toned, tomato red polish filled with red shimmer and dusted with scattered holo. Shown is three coats of Ketchup With Old Friends with top coat. 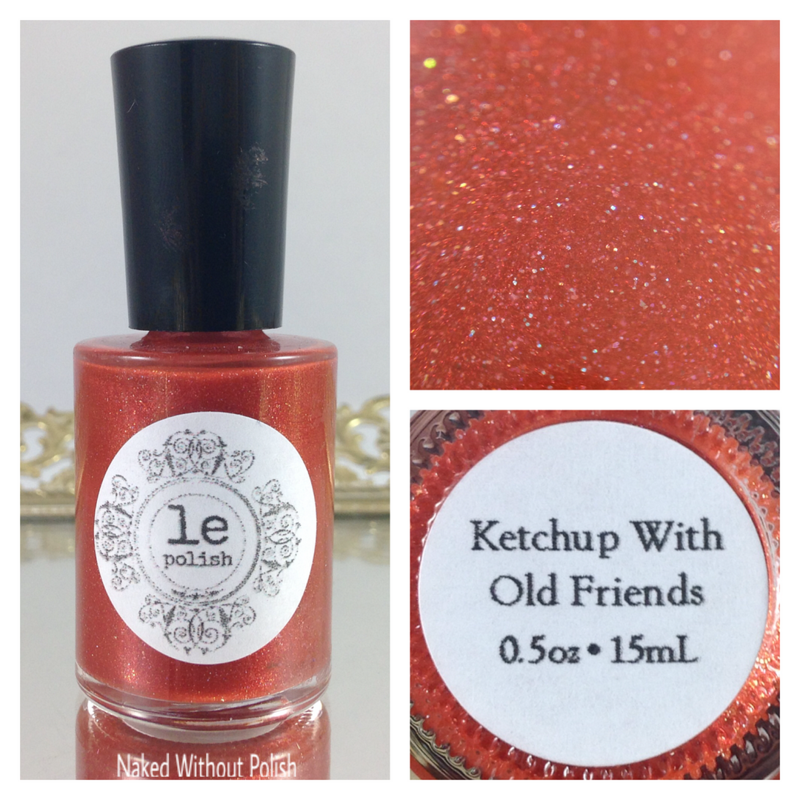 Ketchup With Old Friends is slightly sheer. 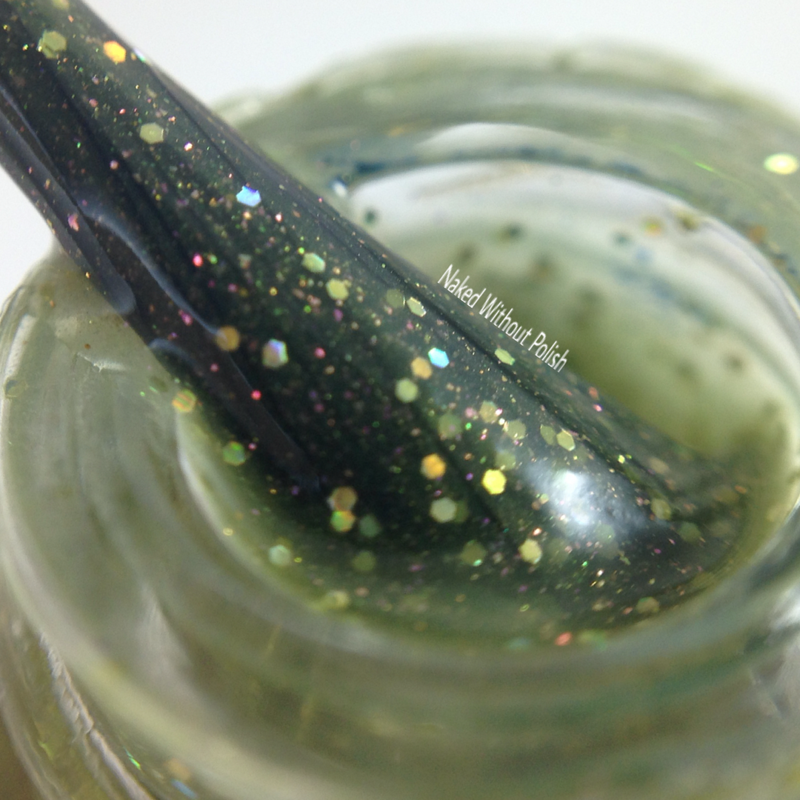 Three coats is needed for full opacity. 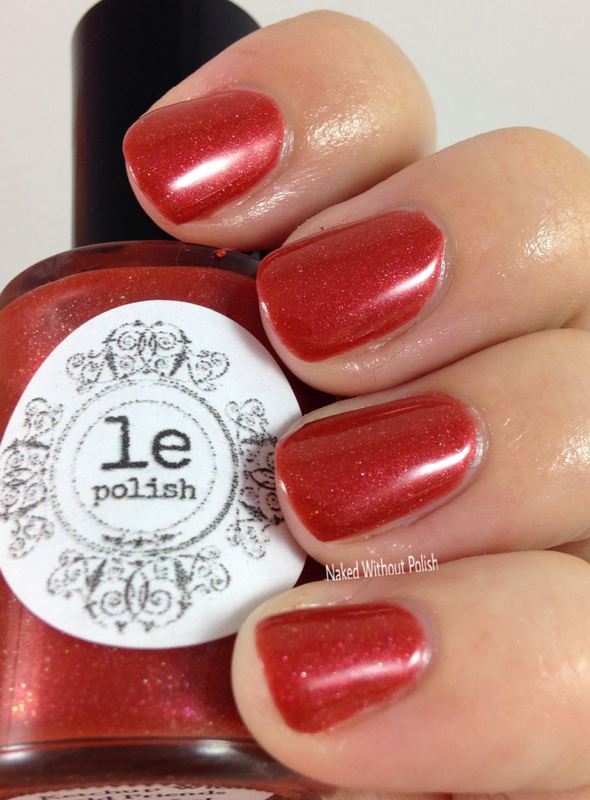 This shade of red is perfect for all skin tones. You're sure to giggle at the name while applying it too. Not recommended to wear if you will be around ketchup at all. 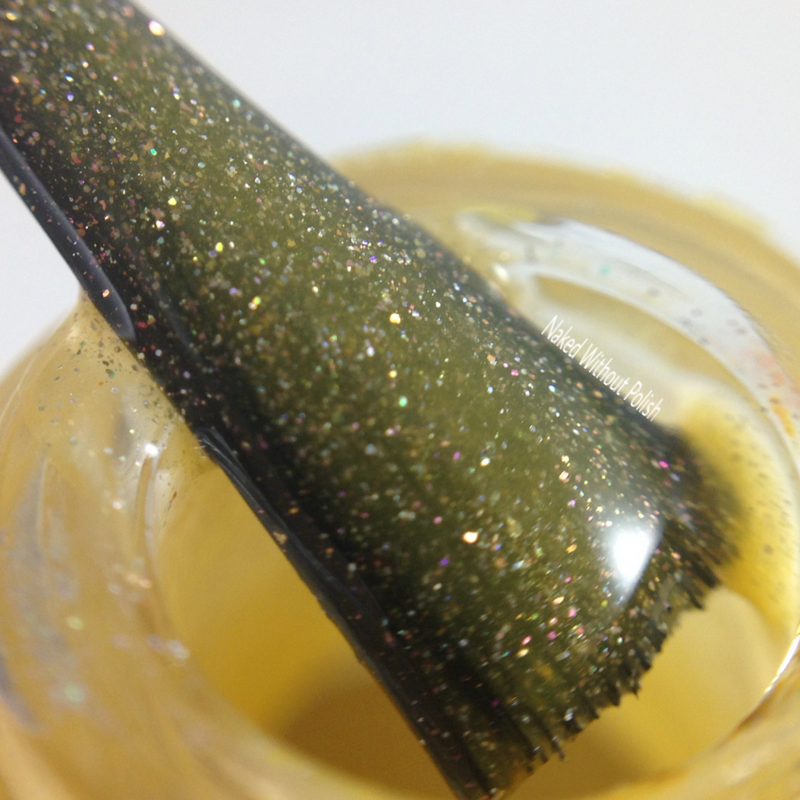 We Mustard Do This Again Next year is a dijon mustard yellow polish with gold shimmer and scattered holo, and in some light it looks as though there is a hidden pink shimmer. Shown is three coats of We Mustard Do This Again Next Year with top coat. 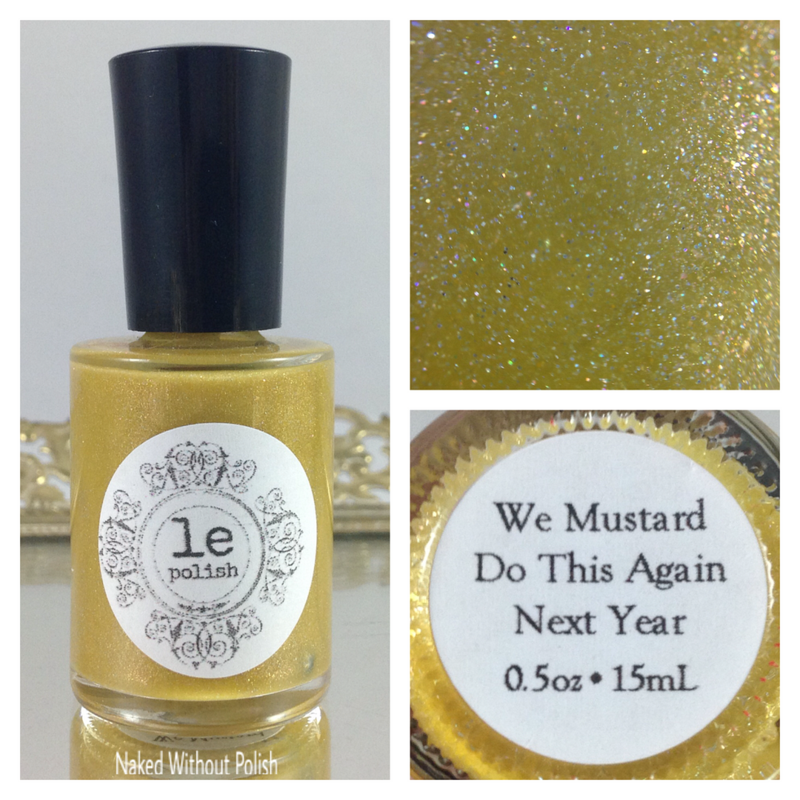 We Mustard Do This Again Next Year is gorgeous! It is a little sheer, so three coats is definitely needed. Such a fantastic color! 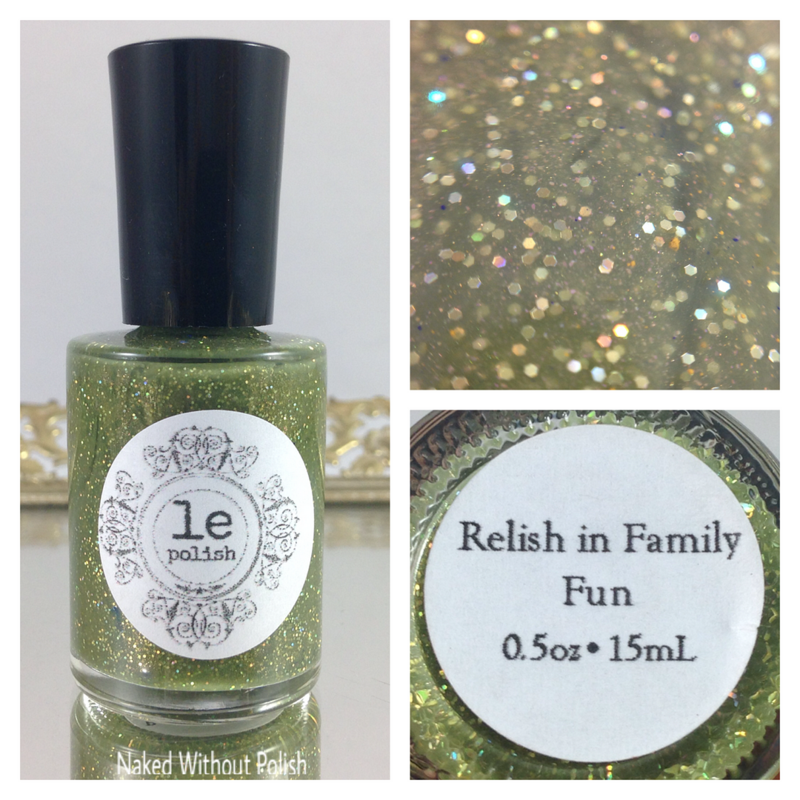 Relish in Family Fun is a full on pickle shade of green, maybe with a hint of olive, with scattered holo, holo micro glitter, and a hint of pink shimmer. Shown is three coats of Relish in Family Fun with top coat. Relish in Family Fun is the most unique of the bunch. 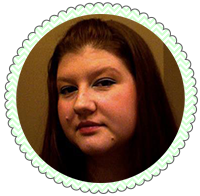 If you love olive tones, you're going to flip over this beauty. It is a bit on the sheer side as well, so three coats is definitely needed. I didn't want to take it off. I hope whoever wins this incredible trio from LE Polish loves it as much as I do. You're going to have so much fun with it for sure, and the names are fantastic! I'm beyond impressed with her work on these. 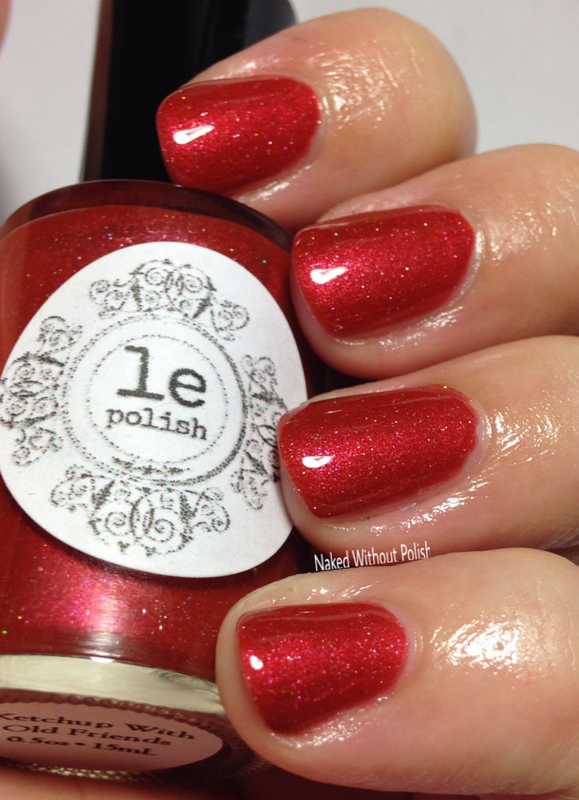 I can't wait to see what the new year holds for LE Polish! 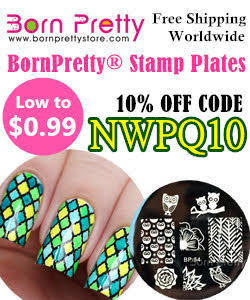 Keep reading to enter the final giveaway. 4. Giveaway will run from 12 am EST on 12/25/2015 through 11:59 pm EST on 12/25/2015.